​Canine Massage is used to relax, reduce stress, relieve stiffness, and improve circulation. We use hot towels and gentle fingertip massage similar to Shiatsu massage. Whole Body Massage included with groom or stand-alone appointment. Good for arthritic pets or just a special spa day. ​Fingertip massage for face, jaw, and occipital, with deep cleansing moisturizer in blueberry or plum. Cleanses tears and saliva stains. 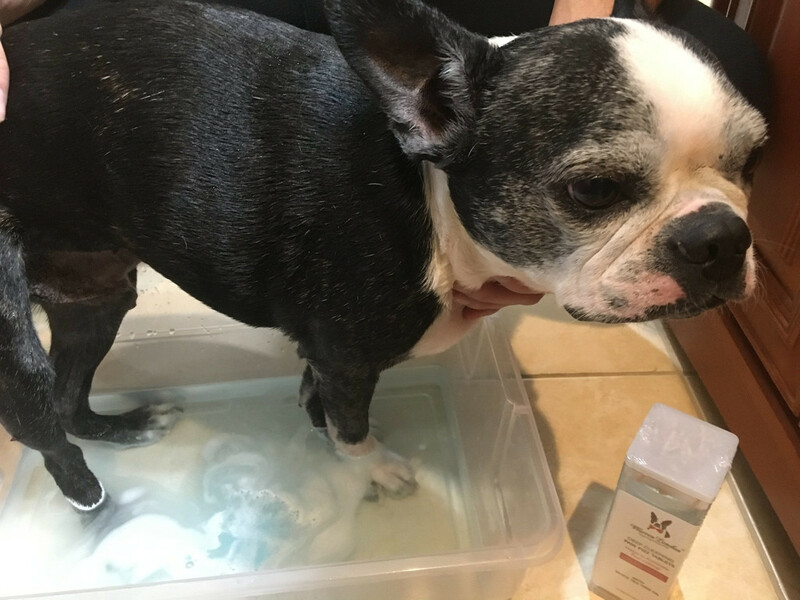 Warren London anti-fungal, anti-bacterial soothing soak, pad massage & grape seed oil paw revitalizer. Good for healing itchy allergic paws.